Prepare your home for the holidays with an easy - to - hang Dacron motif, featuring joyful Christmas sayings and beloved holiday characters. The sign - like motifs hang flat against walls, doors, and furniture so they take up very little space in any setting. Their durable materials and ease of installation make the hanging Dacron motif a wise and appealing decoration for a wide variety of spaces. This polyester woven fabric is tough and durable, but has a fuzzy appearance and is soft to the touch. The material’s lightweight features and heavy - duty construction make it a popular choice for decorative hangings. The felt - like properties of Dacron make it appropriate for creating intricate layered cut - outs that hold their shape over time. These seasonal hanging motifs are a simple and delightful way to decorate for the holidays. The fun layered effect gives the motifs a charming, multidimensional look and adds character to the iconic imagery of the season. Each motif comes with a hanging string so that your decoration is ready to install right away, which means you can get back to the more important holiday traditions. The Dacron hanger requires no maintenance, is completely hassle - free, and it’s easy to store away once the season is over. For busy holiday households filled with relatives, friends, pets, and neighbours, a simple motif will allow you to spread the joy of the season without the fear of breaking fragile holiday decorations. Dacron hangers will swing safely on your front door, or stand up to getting jostled in busy holiday party settings. The cut - out Dacron motif gives your Christmas design scheme a crafty look without requiring hours of getting supplies and making your own. These hanging decorations help create a handmade look without the hassle, which is great for those who are not particularly handy. Find other ways to get creative with easy décor pairings by adding bells, bows, or string lights to your hanging motif display. 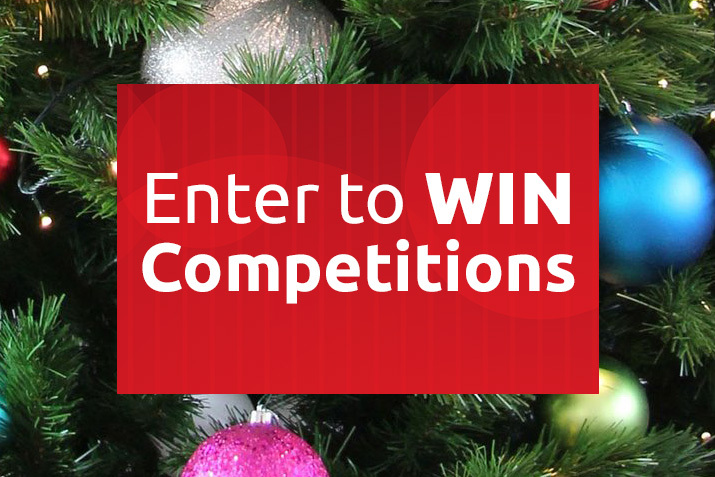 Frame your motif with greenery or attach holiday jingle bells for a festive door hanger. Add the hanger to your entry wreaths for an extra - festive front door or tie a sprig of Christmas holly around your motif’s hanging string for a pop of holiday colour. The motif is perfect for creating a quick and easy holiday focal point for along your mantel, stairwell, or Christmas display. Its multipurpose design is equally perfect for front doors, windows, refrigerators, walls, or cabinets. The motif’s durable lightweight construction and quick installation makes is ideal for decorating your flat or dorm room. 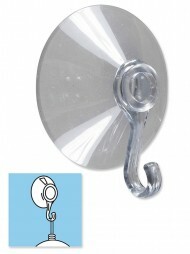 For decoration on the go, simply attach a sticky hook and hang the motif in your rear car windows. If you’re looking to plan a dynamic décor scheme for your next holiday party, try using Dacron motifs in new and inventive ways. 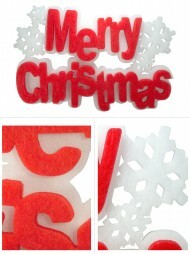 Lay your text motif flat on your hors d’oeuvre tables or hang them to mark gift stations. Hang your motifs over a candle and wreath display, or on the back of your gift - opening chair. As an outdoor piece, the hanging motif adds fun signage to your lawn display, or welcomes visitors from the driveway. Enhance your outdoor North Pole décor with a fun Dacron text hanger, or dress up your post box for a touch of seasonal joy. Dacron hanging motifs are also great for the workplace, as they take up minimal space and help to brighten the typically blank spaces of the workplace. 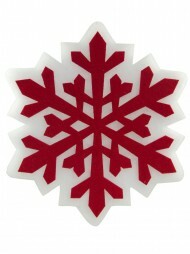 Hang a motif at welcome desks, cashiers, or employee spaces to help enhance the joy of the giving season. 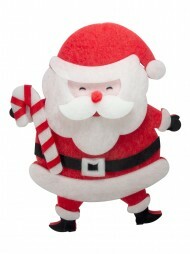 Decorate your cubicle or office door with a festive reminder of the approaching holiday fun. Add motifs to your office holiday party for easy décor and quick installation. When the party is over, simply take the hanging motifs down and store them easily away for next year.